Instagram algorithm changes affect everyone who uses the platform: brands, Kardashians, you, and yes, your mom. 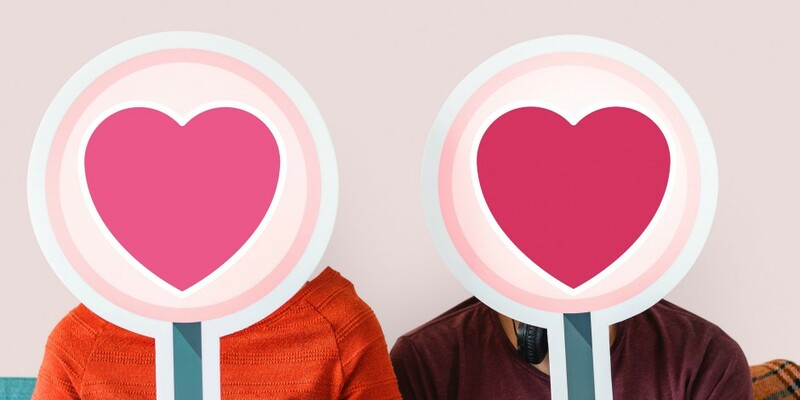 But ever since Instagram nixed the reverse-chronological feed in 2016, rumors have flown about what the Instagram algorithm is, does, and cares about. It’s a mysterious beast, and misinformation abounds. So how can your brand ensure you’re fine-tuning your Instagram marketing strategy so that you’re working with the flow of the feed, and not against it? Here, we’ve gathered the most up-to-date information (and debunked the latest conspiracy theories) about the all-powerful algorithm. Here’s the thing to remember: Instagram’s primary goal is to maximize the time users spend on the platform. Because the longer users linger, the more ads they see. So directly or indirectly, accounts that help Instagram achieve that goal are rewarded. But that’s a pretty broad statement. And it’s easy to misinterpret. To help clear up misconceptions, in June 2018 Instagram invited journalists to a press briefing in San Francisco, where their product team explained how the algorithm works. Specifically, product lead Julian Gutman went into detail on how the algorithm uses “ranking signals” to decide how to arrange each individual user’s feed. Instagram’s algorithm prioritizes content from accounts that users interact with a lot. According to Instagram, this set-up allows users to see 90 percent of posts from their “friends and family.” Back when feeds were organized in reverse-chronological order, Instagram estimates people missed 50 percent of those important posts, and 70 percent of their feed overall. The algorithm also predicts which posts are important to users based on their past behaviour. This potentially includes the use of machine vision (a.k.a. image recognition) technology to assess the content of a photo. This is similar to how the Facebook algorithm and the YouTube algorithm filter and recommend content. So, users who like latte art are more likely to see latte art at the top of their feed. Users who like baby animals are more likely to see baby animals up there. The algorithm shows users newer posts first, according to this announcement from March 2018. We’d guess that this was in response to the endless campaign for a return to the reverse-chronological feed. For brands, the timeliness (or “recency”) ranking signal means that paying attention to your audience’s behaviour, and posting when they’re online, is key. 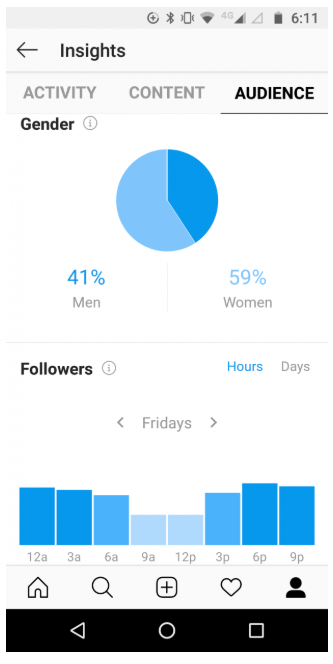 Check out our deep dive on Instagram analytics, if you want some more guidance in this area. Instagram also acknowledges other factors that affect the way the algorithm organizes each individual’s feed. This depends on how often a user opens the app. The algorithm aims to show users the best and most popular posts since they last looked at their feed. If a user follows a lot of accounts, they’ll probably see fewer posts from any one specific account, even if that account is prolific. But they’ll see a wider breadth of posts overall. On the other hand, if they follow a smaller number of accounts, they’ll likely see more of each account’s posts. A user who spends 45 minutes on Instagram will go deeper into the back catalogue and see more posts (by which we mean underperforming posts) than a user who scans for 5 minutes, and catches only the greatest hits. Users will continue to campaign, and journalists will continue to ask, but Instagram (at least as of this writing) stands firm. Paranoia about the so-called “shadowban” has been rolling around on marketing blogs for years. According to Instagram, it doesn’t exist. The algorithm is not capable of hiding your content without telling you. That said, sudden declines in engagement are definitely possible if your followers are annoyed by spammy practices. So pay attention to the community guidelines. And definitely use Instagram hashtag best practices. 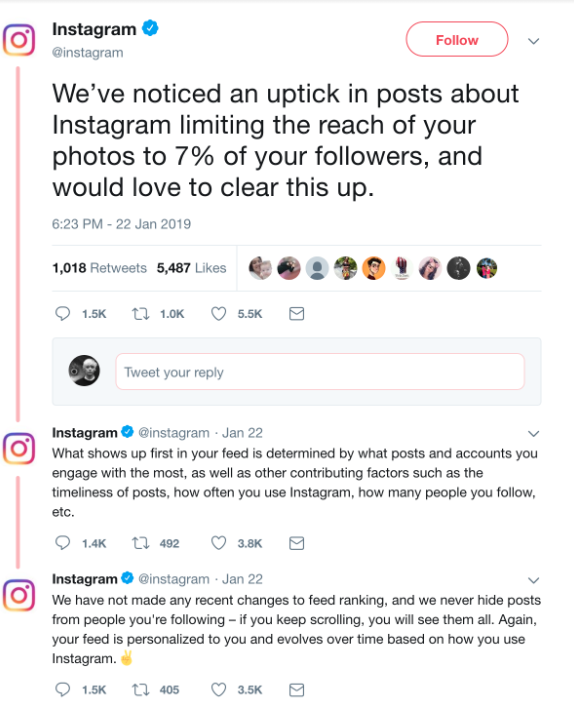 Most recently, in January 2019, Instagram took to Twitter to rehash some facts. This is the same story as the shadowban. Users who feel like their activities are toeing past the line of value and into spamminess feel guilty. Then they have paranoid fantasies that the algorithm—who is omniscient like Santa Claus—is persecuting them. Alas, no. If your reach has taken a sudden turn, it’s best to investigate factors within your control. To that end: here are some real-world tips on getting more Instagram likes. The feed is the feed, according to Instagram. And the feed’s algorithm doesn’t discriminate based on how often your account makes use of other tools within the app. Although, if your brand’s use of Stories and Live video is jaw-dropping, you’re likely to get more followers and engagement from your audience overall. So we do recommend including those tools as part of your Instagram business plan. If it looks like they do, that’s actually a function of the algorithm prioritizing the content’s popularity. No specific type of account gets a head start: the users decide what they want, and the algorithm delivers it. If you think your team has the capacity to increase quality and quantity, go for it. It used to be that it was risky to post to Instagram more than once a day. You don’t want to be that brand. But since the algorithm automatically breaks up multiple photos to diversify what people see, your audience may not even consciously register the increase. And if you’re posting great content, they’ll probably like it. Using an Instagram scheduling tool to plan out your content calendar will make managing an increase in posting volume a whole lot easier. According to Instagram, the algorithm doesn’t prioritize video unless your audience prioritizes video. Someone who never pauses to watch videos will see fewer of them on their feed. But statistically, most people probably will stop to watch. (Video consumption on Instagram increased 80 percent year over year from 2018). That leaves the algorithm tasked with the job of finding more videos for these users to watch. Posting videos—whether Live, as a Story, or on IGTV—will also increase the time your audience spends with each post, which can lead to increased engagement. 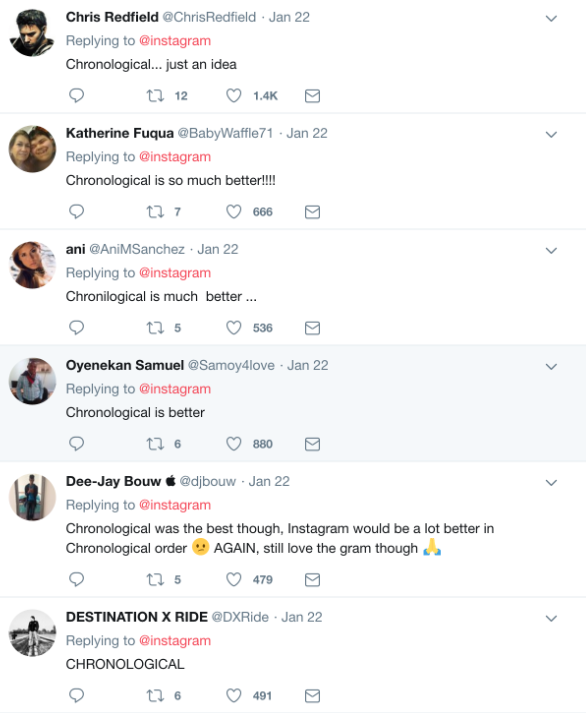 Reverse-chronological isn’t coming back (I swear, that’s the last time I’ll mention it), but because the algorithm favors recent posts, brands need to pay attention to when their audiences are online. We recommend using an Instagram scheduler to a) get access to more advanced analytics than Instagram offers, and b) get those posts out at the right time without dropping everything at 4pm (or 4am, if your audience is in another hemisphere). In the meantime, we did an analysis of Instagram’s top 20 North American brands, and came up with data on the best time of the day and week to post on Instagram, sorted by industry. Write compelling captions to drive engagement. Chat with people in the comments, ask questions. Like other people’s posts, and comment on them. Simple, but effective. The purpose of a hashtag is to make your post accessible to people who may not necessarily follow you, but who have an interest in your areas of expertise. Hashtag misuse is a great way to make your brand look desperate and slimy. (Yes, even if you hide them under the fold: we see that.) Instead, use hashtags in good faith. Like a librarian would use them: first, to genuinely clarify what your post is about. Second, to do your part to help organize the data torrent for your audience. For more tips, here’s our collection of best practices for Instagram hashtags. One of the fastest, but still legitimate, ways to fuel up your engagement and make nice with the algorithm is to run an Instagram contest. Contests take some preparation. And they also need to be well-thought-out if they’re going to build your brand and not tarnish it. But since the algorithm eats and breathes attention, there’s no better way to court it. A simple giveaway that features your flagship product or service may well cement you in your audience’s good graces, grow your followers, and lift your engagement to the point where the algorithm can’t help but take notice. When done the right way, (i.e., reminding people casually), this is one way to impress the algorithm with your brand’s importance to your community. People who have notifications turned on will not only be more likely to engage with your posts, they’ll also see more content from you overall. Instagram has said again and again that the only way to lift your content’s feed ranking is to produce great content. So if your skills—and engagement—have plateaued, it’s time to try something different. Why not hire a professional photographer, and see what you can learn? Or download some new tools and learn to edit photos like a pro. Save time managing your Instagram presence by using Hootsuite to schedule and publish posts, grow your audience, and track success with easy-to-use analytics. Try it free today.